dsolution has developed a sophisticated internet check-in module (dici). The dici application is not just an internet check-in module but has features such as upsell, buy a seat (preferred premium seating such as emergency/exit rows) and reserve/pay online for excess baggage. The dici module, is a tool empowering the passenger to control their own check-in and reservation. 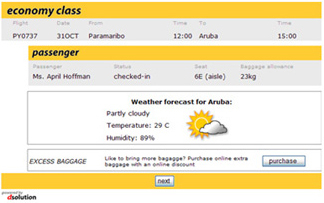 dici comes with a “plug and play” GUI and can be fully integrated into the airline web service. dici common use functionality enables it to be connected to any and/or multiple DCS’s (Departure Control Systems) and ARS’s (Airline Reservation Systems) simultaneously and/or individually. 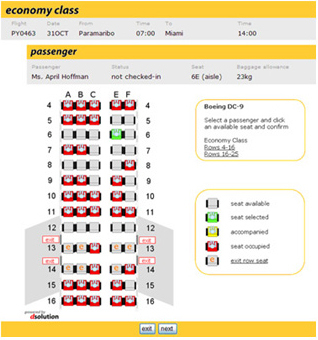 Another option is the possibility for a unique branding of the dici module for each airline. It can be branded in any airlines logo and colours and has the look and feel of the airline branding. The passenger would recognize the internet check-in as being part of the airlines product. So groundhandle companies can use dici to handle the airlines on their own DCS system. dici tables and rules are set and controlled via dadmin tool, the most user friendly and powerful HTML web interface available on the market. Our products have been successfully implemented on several reservations and departure control systems such as CORDA, CODECO, SITA Horizon, EDS-Shares, Amadeus, Navitaire and Travelport. At dsolution we have the unique mix of extensive experience in programming and knowledge of distribution systems. That's why several flag-carriers and corporate customers use our line of products. Customers select dsolution because of the high quality and performance of our product line, proven results globally and superb customer service and satisfaction. dsolution offers economical, proven, state of the art and extremely flexible solutions. All of our products are designed so that our customers can make changes instantly 24/7. This can be done directly without the assistance of dsolution. This is extremely important in an ever and rapidly changing environment. dsolution is one of the leading providers of innovative e-commerce and connectivity solutions to airlines and travel suppliers world-wide. dsolution was established in 2006 with a team that possesses extensive airline, connectivity, e-commerce and distribution knowledge. This bank of experience gives us the unique ability to fully understand the needs of our customers. Over the years dsolution has established a proven track record of delivering timely, innovative solutions and consultancy. dsolution's core activity is to supply integrated solutions. To satisfy customer-specific wishes, dsolution supplements its own team with an extensive network of selective subcontractors and partners who work under the responsibility and control of dsolution. Through this business model we are able to offer our customers a very competitive pricing. We work solely from our customers point of view. Our applications turn out to be the key of success and appreciation in generating extra revenue. That's why many airlines and corporate customers use our line of products and/or consultancy services. 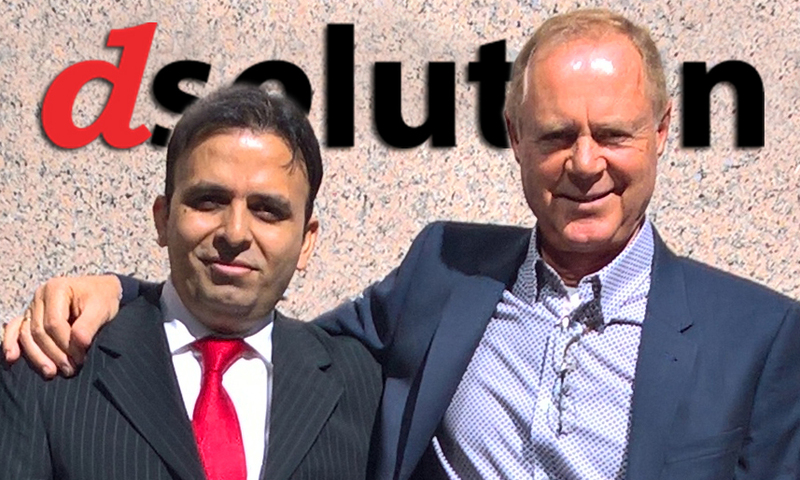 dsolution serves its customers globally from our offices situated in the Netherlands (Corporate Headquarter), Belgium, Dubai and 2 locations in India. Every customer has a fixed account manager as a single point of contact who represents the interests of the customer and is responsible for the entire solution portofolio. dsolution is a strong market player that responds promptly to changes in the market and requests of our clients. The company is organised to maximize the operational efficiency and to pursue growth in revenue for our customers. The dsolution related entity COD 4 Solutions in India is run by Avneesh Pasi. He has a 17 Year experience in the Travel IT industry and is the soundboard between requirements and development team.